1986 was a great year for movies. There are quite a few of those movies that are still pretty awesome today: Top Gun, Pretty in Pink, Stand by Me, etc. The movie Highlander is also a classic made this same year. It wasn’t as popular as the movies I mentioned above…but in some ways one of the best of the bunch. 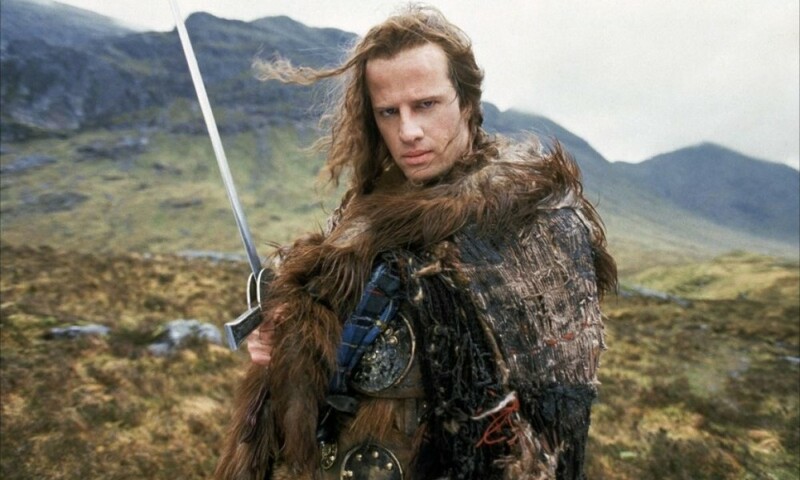 Highlander isn’t good because of incredible acting (it’s bad at times). …it just has a magical quality to the way it was filmed and where it was filmed. It showcases the beauty of Scotland so well. Having Sean Connery in a movie is always a plus. …but Christopher Lambert’s overacting is what really made this movie awesome. What’s funny is that they have tried to have others play his role in TV shows and spin-offs, but nobody can replace Lambert. The music was fantastic in Highlander as well. There are 8 songs by Queen in the movie, written to capture the mood of this film. One of my favorite songs in the movie is “Who Wants to Live Forever”. If you don’t get chills from watching this scene with the incredible singing of Freddy Mercury, you don’t have a soul! Also, I want to mention this again: How incredible is this scenery? The other half of the movie is filmed in New York. I like the Scotland scenery better, but one of the best lines in the movie was delivered in New York. …I just wanted to give a shout-out to an 80’s flick that will hopefully live on forever.